As Lions and Lionesses, we all understand the importance of vision impairment and blindness awareness, but today we have the opportunity to share our message with the world. First coordinated by the International Agency for the Prevention of Blindness (IAPB), World Sight Day is celebrated on the second Thursday of October. This organization, along with other partner organizations, spend the day focusing global attention on blindness and visual impairment. 2014 is an extra special year because it is the first year of the WHO Global Action Plan. The year’s Call to Action is No More Avoidable Blindness. 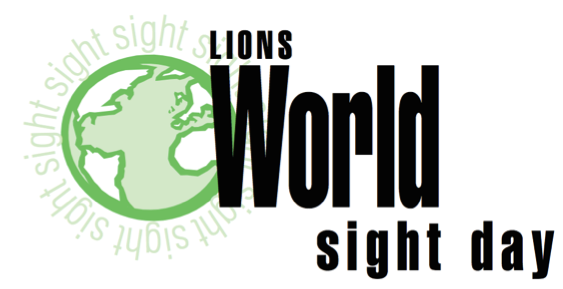 Lions all over the world are taking a leading role in promoting World Sight Day. Don’t worry, there’s still time for your club to participate as activities will be happening throughout the entire month of October. In fact, many of the participating events happen all year round for Lions in Wisconsin. Specifically two of the WLF projects supported by your donations to the Lions Pride Endowment Fund are Children & Adult Vision Screening and Eyeglass Recycling. Does your community have specific vision needs? Is there a Lion/Lioness Club in your area? Are vision-related diseases impacting your community? Is your community in need of an eye care clinic or an expansion of a current clinic, an eye hospital or an eye research center? Are members of your community in need of free eye care, Braille writers, guide dogs, specially adapted computers or other sight-related services? Can you utilize specific resources within your club? For additional resources in planning and organizing a World Sight Day activity, please see the recent activity guide produced by Lions International. The World Health Organization estimates that the number of visionally impaired individuals could double in the next 25 years. Lions, have a unique position to combat the leading causes of blindness and help in preserving vision. Together, we can stop vision impairment and blindness in their tracks. Make a donation to Lions Pride Endowment Fund today and designate it for either of your favorite WLF vision projects. Click here to donate now.